Throughout each year, Hanzo’s "Profiles of Excellence" series interviews industry leaders in compliance, eDiscovery, investigations, and risk management to learn about their experiences in the field and give them a platform to share advice with our community. 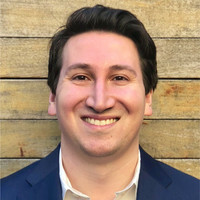 In March 2019, we were fortunate to speak with Louis Sapirman, JD, CCEP, an E&C leader and the President of Compliance Innovator, LLC, with over two decades of experience building effective ethics and compliance programs, and corporate cultures, in large public organizations. How long have you been working in compliance, and why did you get started in the field? I’ve been working in compliance and compliance related fields for 25 years. I worked for Dun & Bradstreet for the past thirteen years, serving as Associate General Counsel & Chief Compliance Officer. In this role, I had global responsibility for compliance, ethics, privacy, third-party compliance, litigation, and employment law. What are some of the most pressing challenges you believe compliance professionals are struggling to overcome today? I believe two of the most significant struggles are the shift from reactive compliance to a proactive business partnership, and the identification and use of appropriate metrics to drive program excellence. Compliance professionals have become relatively comfortable with data related to hotline statistics. There is so much new data now available to us now to help drive and measure excellence in our programs that was previously not being collected or used. If we do not evolve and become more comfortable with using and exploiting the data resources at our disposal, like many of our peers in other departments within our organizations have already become, we will likely be left behind. You mentioned the importance of compliance professionals being comfortable using data and metrics to make better decisions. What other skills, whether technical or personal, do you believe a compliance officer needs in order to be effective and overcome the challenges they’ll face in today’s workplace? 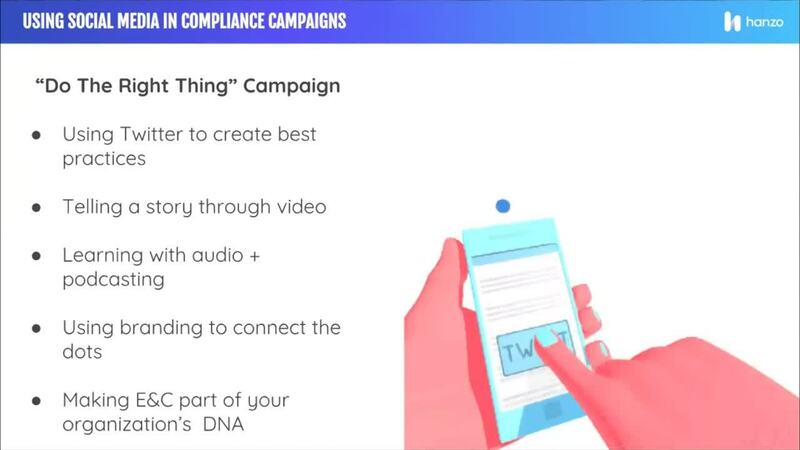 This interview is featured in our new eBook for compliance professionals, where you can learn about the different risks that exist within marketing, comms, and social media teams, the consequences of ignoring them, what you can learn from them, and how to build collaborative internal relationships that can help prevent them. What organizational, cultural, and business trends do you think will have the most direct impact on the role of a compliance officer over the next few years? As our workforce becomes more tech-savvy, compliance professionals will need to keep up with trends in communications. Regardless of their age or demographic, employees today are not like they were 5 or 10 years ago. They rely less on e-mail and more on real-time social media communications tools. To be effective, compliance professionals must be able to provide communications in a manner that will be most effective for their workforce, and be comfortable testing and learning with new communications tools. If you haven’t done so, dip your toe into the waters of Twitter, or WhatsApp. Even they are becoming “older” forms of communication in 2019, but will at least get you ready for whatever comes next. The role of compliance, especially in multinational organizations, is in large part driven by the global legal environment. As countries around the world continue to adopt significant legal change, this will have a wide-ranging impact on the compliance professional. I believe that the enforcement and development of new privacy regimes around the world, whether in Europe, China, or elsewhere, will be one of the greatest drivers of compliance requirements over the next few years. Finally, and probably most importantly, is the rise of data as a tool in every compliance professional’s toolbox. I believe that collecting and leveraging metrics to make more informed decisions has been a challenge for many in the compliance profession. There is now so much data available to the compliance professional, beyond the classic hotline statistics, that innovation in how we use that data to drive excellence in our programs will likely be what we look back on 5 or 10 years from now as being the most significant change. For those companies that have the resources, we will begin to see the use of “artificial intelligence”-like systems to identify red flags, assist with risk analysis, and simplify time-consuming internal processes and workflows. If you had the opportunity to spend one week with any organization's compliance team, what are the 2 or 3 things you would focus on doing in that week to make the biggest impact and leave a lasting impression? I believe there are three things I would want to focus on with any compliance team if given one week. Thank you for your time, Louis, and thoughtful responses to these questions. If an ethics and compliance professional reading this wants to get in touch with you or discuss these topics in more depth, how can they reach you? People are welcome to reach out to me through LinkedIn and can follow me on Twitter @LouisSapirman. I welcome questions and look forward to continuing my thoughts on these topics with your readers. This article was originally published on Corporate Compliance Insights. Louis Sapirman recently participated in a CCB CEU eligible webinar hosted by Hanzo on the topic of leveraging marketing and social media best practices in a compliance program. 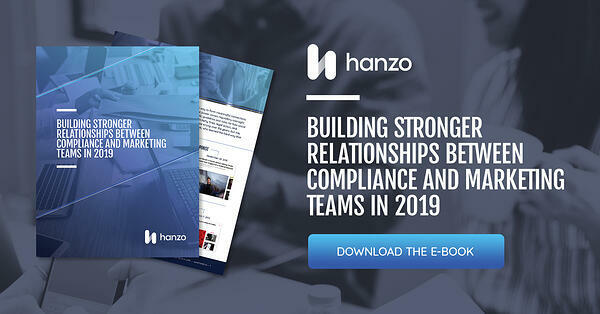 You can watch a recording of that webinar, read about the 8 key lessons from that webinar, or download a new eBook that dives deep into the themes of digital risks for compliance teams and mitigating them by collaborating with marketing.